I have a srs btv 5 Sony Bluetooth speaker. It’s pairing but no sound. So I have had wireless headphones for about 3 months now and they connected just fine to my phone. Today however when I turned on bluetooth on my phone and turned on the headphones the headphones didn’t even show up on my phone so I could not connect them. Anyone know what could be the issue and how I could fix it? Did you follow steps above? Try the steps above and let us know if they worked. I am doing a group project with 1sheeld+ android studio and arudino. I am having terrible issues connecting 1sheeld+ to my phone app. If I turn on bluetooth before I run the app it asks for a pin, which should be either 0000 or 1234. It does not accept either. It asks if 1sheeld is ready for pairing. Does anyone know anything about this? I am searching everywhere online for info on this. please advise if someone knows. How do I pair a Samsung tab A(2016) with an iPhone X, having problems pairing them. I recently got a new phone and I’m trying to pair my wireless headphones to it and my phone cannot find my headphones. I’ve tried everything I can think of trying to get these things to pair and both are new so I don’t understand the problem. Headphones worked just fine with my old device and I don’t understand why it won’t work. beautiful, had the trekz titanium that wasn’t pairing with my iPhone. did the soft shut down (going to airplane mode then back) and it paired right up. THANK YOU! Thank you for this article! It turns out my power saving mode kept disconnecting my bluetooth keyboard. My Woodulisten speaker will not pair with my SanDisk Clip Sport MP3 player, but easily pairs with my other Bluetooth devices. Any suggestions? Try what I did, remove the speakers from your player (somewhere it must give the name of your speakers in the list of pairing devices in your player) and let it find it again. I had the same problem with my earbuds and it worked. The SYNC by 50 Wireless In-Ear Sport headphones received poor user reviews on Amazon. While the product is no longer available, looking at the cached information, they had 2.7 out of 5 stars, with many users complaining of Bluetooth connection issues. I am having the exact same issue! I don’t see a reply for you. Have you figured out a solution? So what you’re saying is your earbuds work but after 5 mins. the left side goes off right? It might be your earbuds cause it seems that when they have time to “heat up” per se, one of them disconnect. If you can borrow someone else’s earbuds you would have your answer, i doubt that another pair would do the same thing but if it does you still have your answer, it’s your phone/device. When BT connects it’s connected or it’s not, it will not play from one side to the other it will just cut and come back if you’re too far from the source . Have you tried deleting your earphones from your device in the BT devices and let it find it again? Example: my Ipod in settings has bluetooth, first check if it’s ON and if it is check if your earphones are there in the devices recognised, if it is delete it and turn on your earphones after Your device (music player) will find it again. This developed for me after the latest software update on my S7 (or so it seemed). It was the case with all my fleet vehicles at work then my own car stereo and my stereo amp. The only thing that was exempt was my BT earbuds and my fitness watch, and my BT speaker. I tried everything in the forums except to start in in safe mode. Big mistake. That sorted it straight away. Worked like a charm. I just deleted all the recent apps that I had downloaded. I’m not sure which one was interfering with the passkey popup but none of them were essential. I could have done each individually and checked for BT connection but I was in a rush. Anyway am happy now! 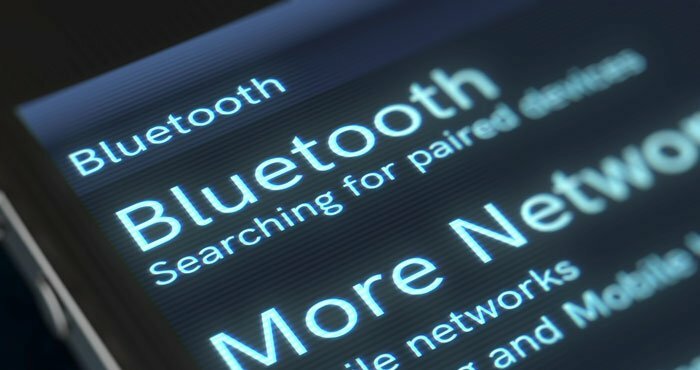 Everything today is bluetooth; therefore, a device could be connected to any number of other devices. Specifically, a speaker connected to any of 8 phones/tablets. Is there any way to disconnect and reconnect that speaker to a given device without having to track through 7 other devices to find what it’s paired to in order to unpair? If you put the speaker into pairing mode, it should enable the device you want to pair it to to connect, and it will drop the connection to the other device. Is that not what’s happening for you? I guess that’s the problem. I checked my speakers and only one has what I guess could be called a dedicated pairing function, and one has a reset hole to insert a paper clip. The other three, when they’re turned it on, they automatically go into pairing mode and default connect to the last device paired. Problem is, that could be any of 5 phones and 3 tablets; trying to find which one to unpair is a nuisance, especially when one might be upstairs, the other downstairs. It would seem they would all have a dedicated pairing function. Without it, I guess I’ll just have to dedicate a speaker per device, and when buying speakers in future, look for a dedicated pairing function. Thank you. Here is another issue not addressed. I am in a dorm and there are like 50 different devices that are popping up on my screen. 4 or 5 of them should be mine but I can’t tell which ones. With device identifiers such as ARBAx6bX1Sk I am not sure what devices are mine. The easiest fix is to take your phone and the device somewhere there aren’t a lot of other devices. Once paired, your phone and the device will automatically pair again when turned on. 1. Take the device you want to pair out of paring mode. 3. Put the device you want to connect into pairing mode. It should device pop up as a new device on the list. Select and you should be good to go. Pairing but won t connect! Frustrated! I’m beginning to think I just have a faulty speaker. It’s still new & have had trouble pairing + connecting every single time. Now, the speaker & tablet are bothcharged, it pairs really quickly, but searches to connect until I finally give up & cancel. I’m in a different room from Wi-Fi also…tried all the tips & tricks. Any advice please? Hello! I’ve recently been having problems connecting my ijoy logo bluetooth headphones to both of my devices (an amazon kindle and a google chromebook). My headphones will say that they’re conected but my devices will say that they aren’t connected. When I try to play a video or song, I can’t hear the audio through my headphones. What should I do? Your device is the one that counts, delete your headphones from the device and let the device find the headphones again.Your headphones want to connect but the device already has a “channel” per se for the headphones but it doesn’t work, The device will not “create” a duplicate so you have to delete this one first. It usually works unless one or the other has a real problem. I removed the headphone pairing from my bluetooth device list. When I turned on the headphones, it said “pairing… connected.” even though it didn’t have anything to pair to. My device isn’t able to detect the headphones either. So i have an LG Aristo, and i bought a bluetooth speaker a couple months ago, and they paired perfectly fine for about a month, then they just wouldnt connect. I cleared all the paired devices on my phone and scanned to pair it again, and my phone cant find it. I brought in a few other bluetooth speakers i had and my phone cant find them either. It always says “no devices found” both when theres 3 speakers and two other phones in the room and when its just my phone and the speaker. Rebooting my phone and the speaker doesnt work. Any ideas on how to fix it? I HAVE X2T Model EAR BUDS - LEFT & RIGHT, (CHEVRON MAKE) TRUE WIRELESS EAR PHONES. LENOVO ANDROID PHONE. PAIRING IS OK. CALL RECEIVING OK. STOP FUNCTION OK. SOUND IS OK. ALL FUNCTIONS ARE WORKING OK. ‘‘EXCEPT SHORT PRESSING THE MULTI FUNCTION BUTTON TWICE FOR NEXT SONG’’ FUNCTION IS NOT WORKING. IT WORKED FOR THE LAST 6 MONTHS PERFECTLY, THIS DEFECT DEVELOPED RECENTLY. THE SAME EAR BUDS ARE WORKING WITH ANOTHER PHONE PERFECTLY. SHORT PRESS TWICE THE MFB IS NOT FUNCTIONING WITH MY PHONE SINCE RECENTLY. IS THERE ANY PHONE SETTINGS ARE CHANGED IN MY PHONE. OR ANY OTHER PHONE SETTINGS ARE AFFECTING OR ANY OTHER PHONE SETTINGS ARE TO BE CHANGED. KINDLY HELP ME. Calm down with the caps lock.or move your finger off of the shift key.jeez man. I had a bluetooth mouse that was working with Android 7.1.1 on note 8 and after updating to Android 8.0 simply stopped pairing. Only solve the problem by buying a new mouse with recent BT technology. 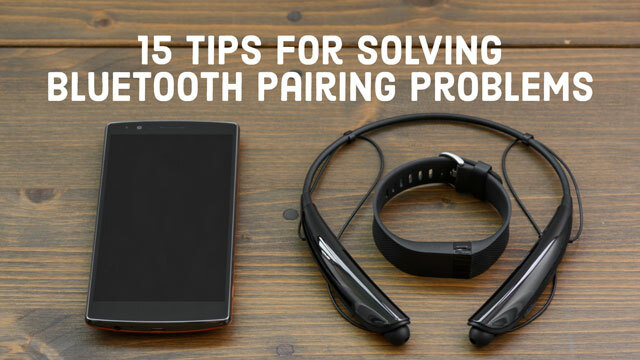 Bluetooth requires both hardware and software to work properly. 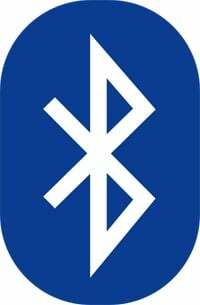 Bluetooth is a device which works wirelessly data exchange. To know more visit our site. Hi, I have a JBL Charge 3 wireless speaker that i always have connected to my phone. 2 days ago it disconnected and will not let me reconnect however other people are still able to connect to my speaker. That may be why you cant connect because others are connected. I couldnt connect on my phone because it was still paired onto my notebook. When i unpaired it, thats when it connected back to my phone. Arhghhh, please help. The oasscode sent to my mobile seems to be wrong. When connecting a Samsung. Galaxy. Oldish… Could be a wrong ph number? But then why would I be getting a mdg at all? That’s silly. I didn’t day that. I have 2 samsung galaxy J7 sky pros. When I attempt to transfer one file to the other, it won’t work. The file is about 500 KB and the bluetooth option won’t show up.just email. I bought a Bluetooth speaker from a friend and I don’t know what speaker I have the only writing on the thing is Splash! I’ve been trying to connect a Bluetooth gaming controller to my phone for use with VR games. It used to connect a year or two ago, but now I get the error message “Unable to connect device to Bluetooth input device while using it as a Bluetooth input device.” This error doesn’t make any sense to me and I can’t find any answers anywhere. Even the controller’s manufacturer isn’t of any help. Does anyone know what this means and how to fix it? Sounds to me like something needs updating. If I dont update my phone it drives me crazy. If everything’s updated I have no issues. Thanks! That’s a most helpful article, turning my Samsung phone off worked to connect my Samsung tablet to my Aukey Bluetooth speaker. Excellent advice. Had it paired to a Dual XDM16BT in my old car for months, no problem. Get rid of the old car put stereo in new car. No problems for about a week or two. One day the music im streaming just stops. Still says on both devices im connected. After disconnecting and reconnecting it works for about a minute, same result. Using an aux cord it works perfectly fine, other than your using a cord and get feedback while charging phone. So i figured the bluetooth went in stereo so i bought a new one. Got my Boss 611UAB, put it in. Immidiatley the same issue. That led me to believe it was my phone. So i tried streaming music on my Jensen JBS-200 and it ran for a half hour no problem. So its not my phone? Out of all the things i tried its making me think its the car now (a 2018 nissan versa) but why did it work fine for a week or two with old stereo? And why did things instantly go wrong with the new one? I am out of ideas and am going to the internet in a last ditch effort to figure this out. Have you tried factory resetting the Boss to factory settings and removing all paired devices from your phone and then repairing them? This resolved a similar issue I was having with my phone and car. Can’t explain exactly why this happens. Perhaps related to an Android update that causes a conflict with the BT handshake. I wonder if when you’re streaming music and you move does that affect it like a different zip or even area code. I dont know just thinking how some apps such as pandora asked for my zip code.